The attack on the Mayo-Kunga village led to reprisals attacks on neighbouring communities. 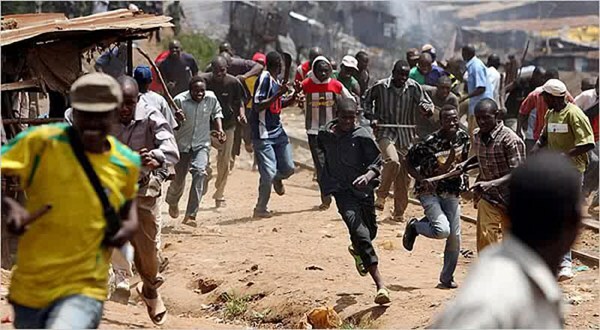 The Police Public Relations Officer for Taraba State, David Misal, said only six people were killed in the conflict. ‘’For now six persons were confirmed killed on both sides while several others have been arrested,” the PPRO said. Mr. Misal, an Assistant superintendent of police, also confirmed that 80 houses had been torched. At least 10 people have been killed and several houses burnt in fresh violence that erupted on Tuesday in Taraba State North Eastern Nigeria, witnesses say. But police said six people died in the clashes between the Fulani and Mummuye ethnic groups in Lau Local Government area of the state. Since last Friday, there have been pockets of violence and reprisal attacks in some communities in the area. The latest killings and destruction of properties, including farmlands and domestic animals, is coming barely a week after the state governor, Darius Ishaku, was quoted in the media as urging Christians across the country to rise up and defend themselves against terrorists before they are annihilated. The governor made the call in Jalingo during a thanksgiving service organised by the Christians Association of Nigeria (CAN) to celebrate new year and to pray for victims of Southern Kaduna massacre and other victims of terrorism across the country said. ‘’The people must wake up from their slumber and defend themselves. You can’t just lie down and allow yourselves to be annihilated by other groups. You have a constitutional right to self-defense and now is the time to use it. The government alone cannot do it,” he was quoted as saying. Locals say Tuesday’s violence started around 2 a.m. when a village, named Bonja, and Mayo-Kunga belonging to Fulani ethnic group, was attacked by suspected Mummuye youth.